In this book, José Luis Bermúdez addesses two fundamental problems in the philosophy and psychology of self-consciousness: (1) Can we provide a noncircular account of fully fledged self-conscious thought and language in terms of more fundamental capacities? (2) Can we explain how fully fledged self-conscious thought and language can arise in the normal course of human development? 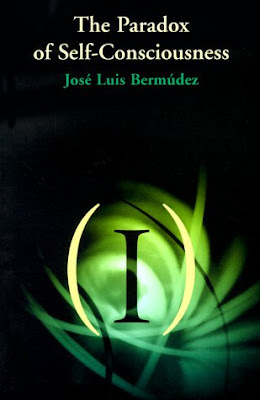 Bermúdez argues that a paradox (the paradox of self-consciousness) arises from the apparent strict interdependence between self-conscious thought and linguistic self-reference. The paradox renders circular all theories that define self-consciousness in terms of linguistic mastery of the first-person pronoun. It seems to follow from the paradox of self-consciousness that no such account or explanation can be given.Drawing on recent work in empirical psychology and philosophy, the author argues that any explanation of fully fledged self-consciousness that answers these two questions requires attention to primitive forms of self-consciousness that are prelinguistic and preconceptual. Such primitive forms of self-consciousness are to be found in somatic proprioception, the structure of exteroceptive perception, and prelinguistic forms of social interaction. The author uses these primitive forms of self-consciousness to dissolve the paradox of self-consciousness and to show how the two questions can be given an affirmative answer.